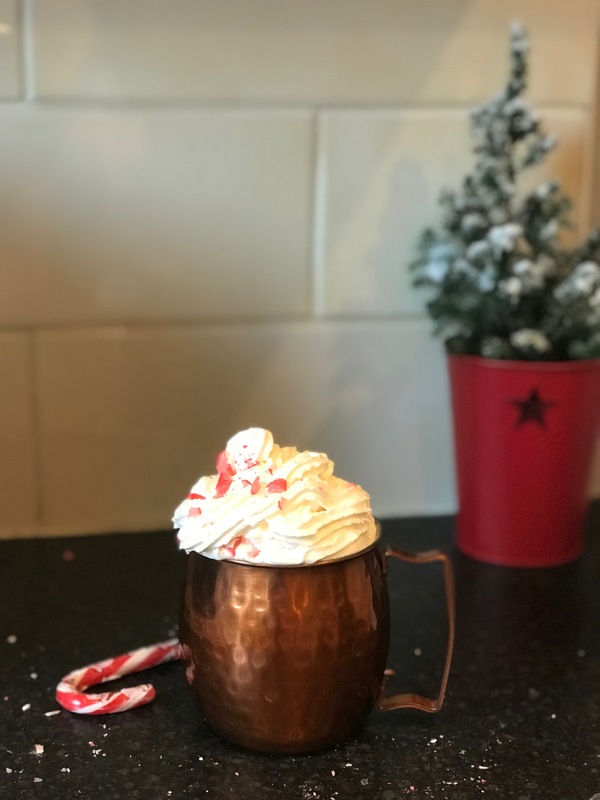 Everyone loves hot chocolate right? I for one definitely do. 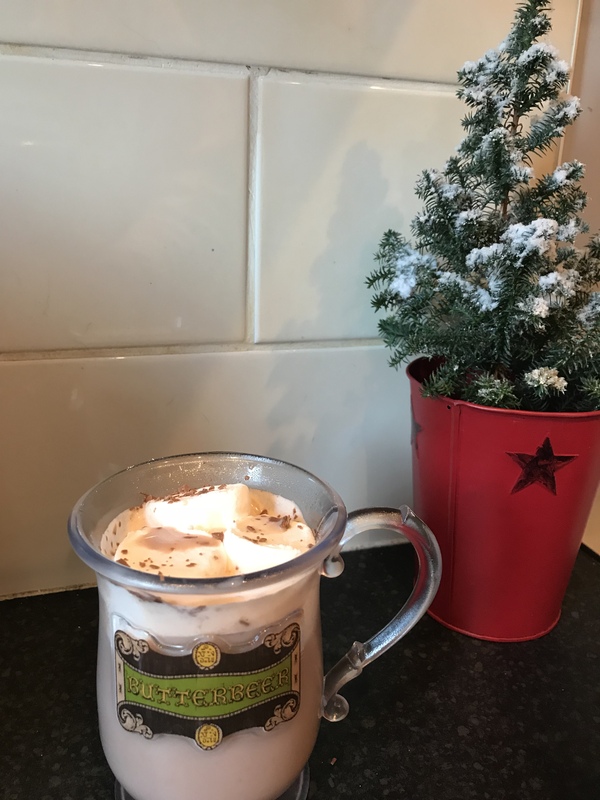 I tend to drink it more as a treat drink rather than every day, normally I will just drink tea and coffee, however during the colder months I love a good old hot chocolate. I am going to be showing you, 2 of my favourite chocolates! and also giving you some ideas for other chocolates which are also delicious. All you will need is hot chocolate powder, I recommend Cadbury but any hot chocolate powder will do. 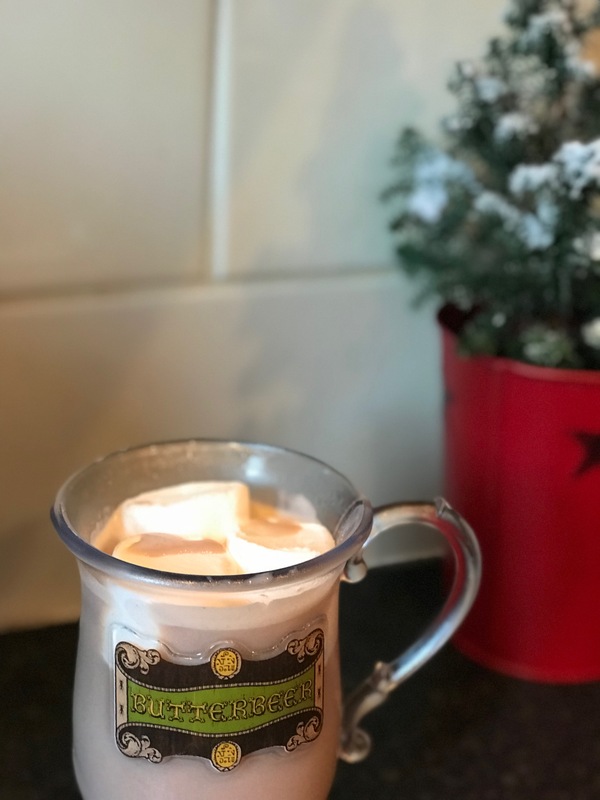 Do you like my mug, it’s from Harry Potter world when I had Butterbeer? Step one – Add two tablespoons of the chocolate powder into a mug. 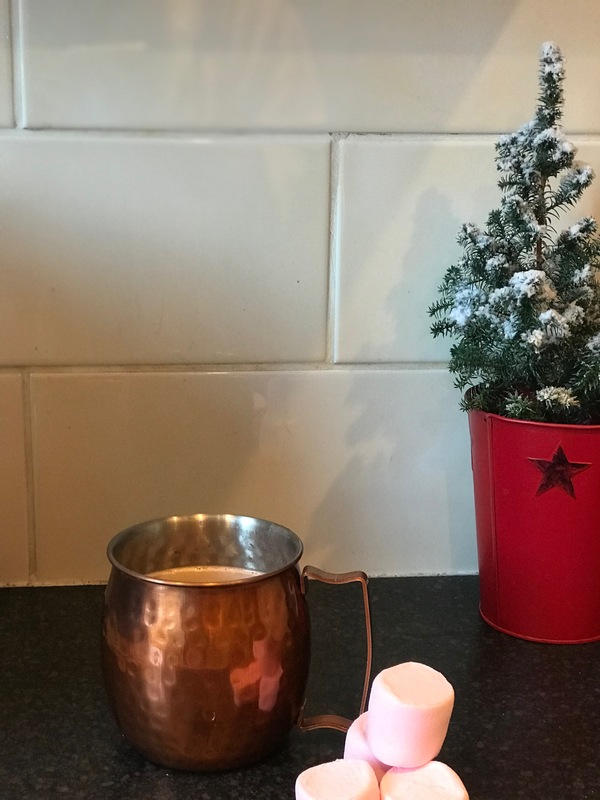 Then add a tiny bit of hot water from the kettle and mix the powder, this is going to turn the powder into a liquid so it isn’t hard to mix when you add the milk. Step two- pour some milk in a another cup or a jug and place it in the microwave until hot. 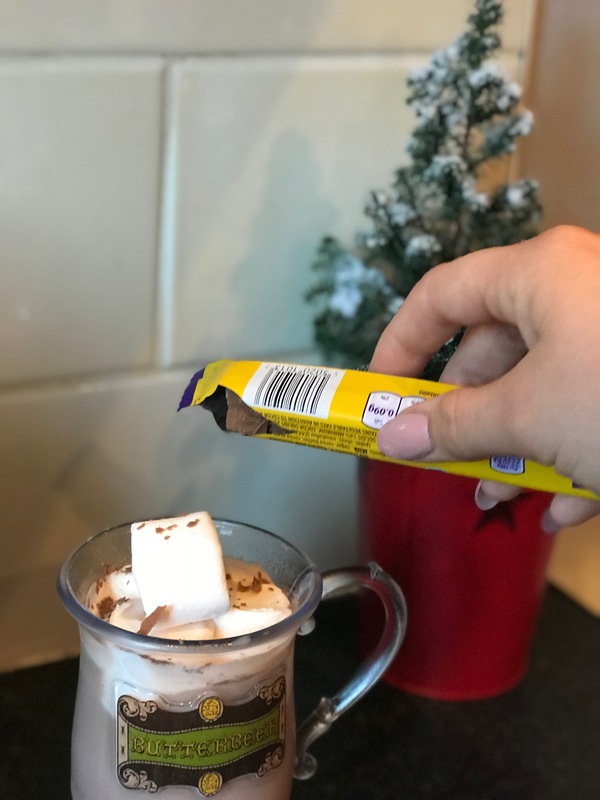 Step three- pour the milk into the mug where the chocolate powder is and place marshmallows in the top of the mug so it sits in the hot chocolate and sprinkle some flakes on there. 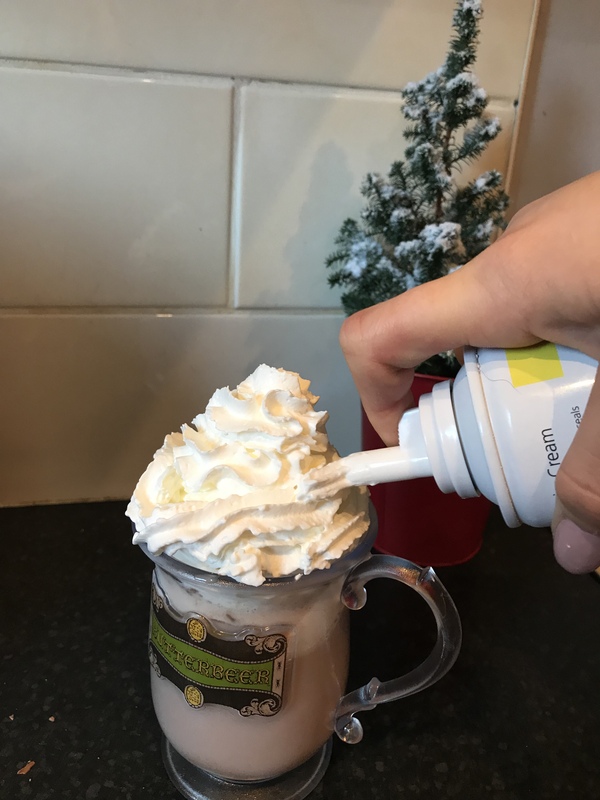 Step five- get the squirty cream and squirt it on top of the marshmallows. You need to work quickly because it will melt, unless you like it like me like me! Step six- after this sprinkle some flakes on top and break some of the flake up and place it in the hot chocolate. Bits from the flake will fall to the bottom of the cup, you will get bits of chocolate when drinking it fall into your mouth YUMMY! Hot chocolate powder, I recommend Cadbury but any hot chocolate powder will do. Step one – Add two tablespoons of the chocolate powder into a mug. Then add a tiny bit of hot water from the kettle and mix the powder, this is going to turn the powder into a liquid so it isn’t hard to mix when the powder is still a powder. Step three- pour the milk into the mug where the melted powder is and stir together. Step four- Break up one whole candy cane either in little pieces or big pieces and put it in the hot chocolate, it will fall to the bottom of the mug. 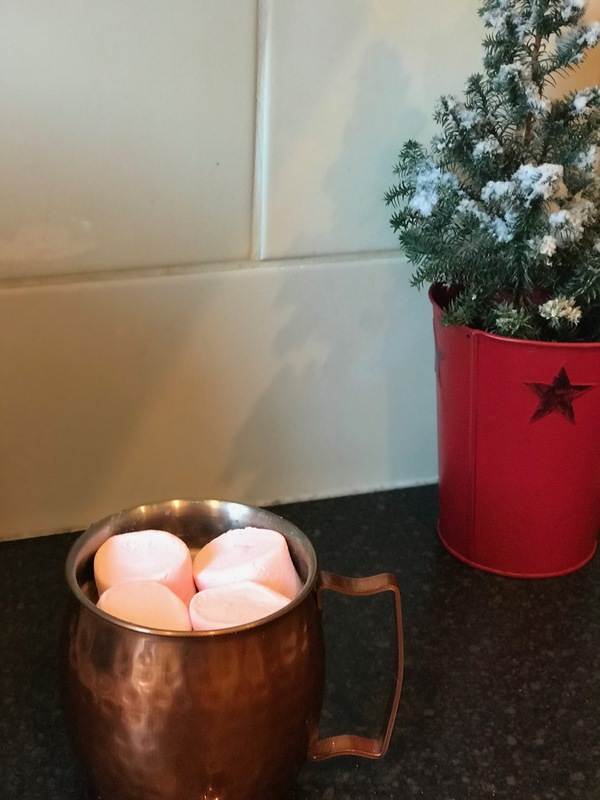 Then place marshmallows in the top of the mug so it sits in the hot chocolate. 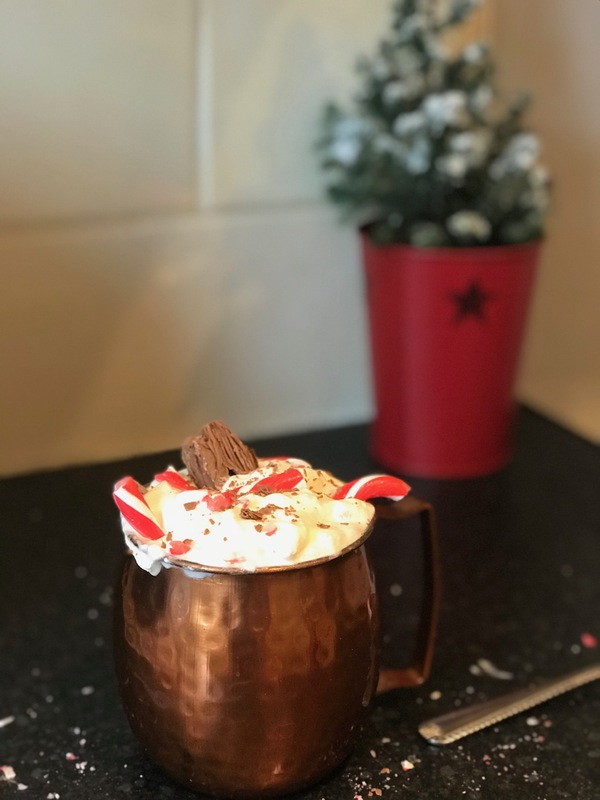 Step five- Get the squirty cream and place it on top of the marshmallows and then sprinkle the top with crushed up candy canes..
and chocolate if you want to.. 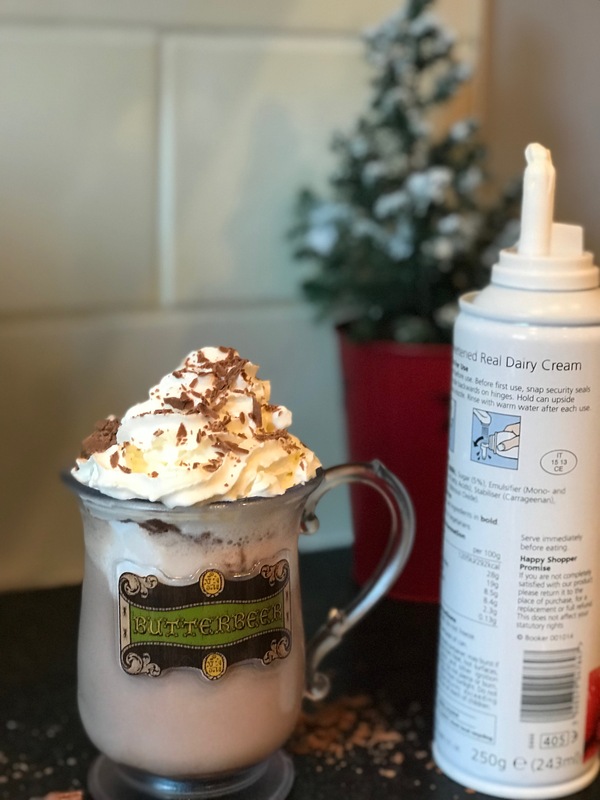 I let mine melt a little bit because I think it makes the hot chocolate more thick and creamy. YUMMY!! Thank you so much for reading. 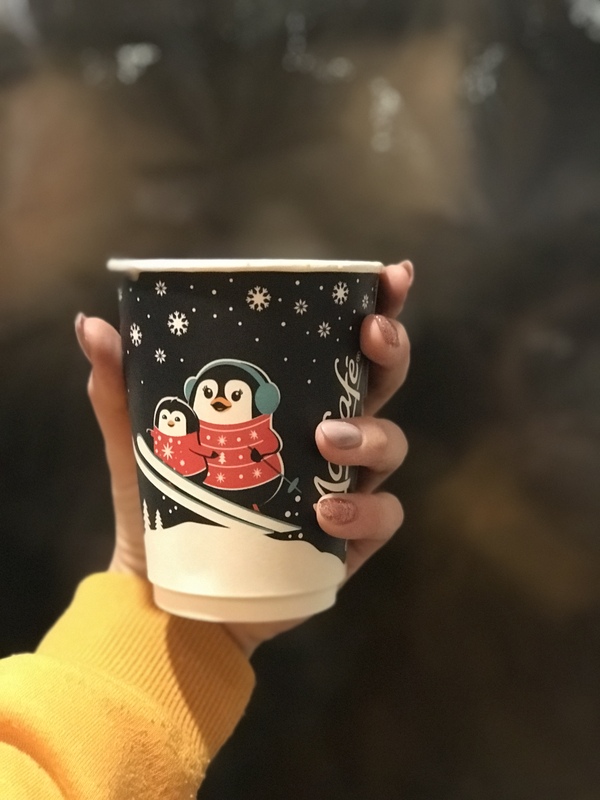 I also just wanted to add with regards to hot drinks, McDonald’s are doing an amazing spiced cookie latte which I would highly recommend! These look so so tasty, I’m in bed wanting one of these now! Thank you and if you love peanut butter then this one sounds amazing! !